Meet your foodie guide near the French Market in the afternoon, and come hungry. The food tastings you'll enjoy during this tour are, combined, enough for lunch. Johnny’s Po-boy: Established in 1950, this third generation French Quarter landmark dishes out the best po-boys in New Orleans. 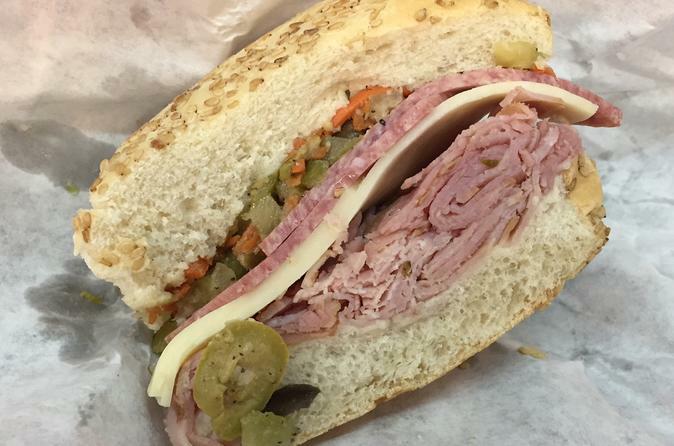 The sandwich was first served to striking streetcar workers in 1929 and has been a New Orleans favorite ever since. The Old Coffeepot: Classic Cajun and Creole cuisine has been the calling card here since 1894. You’ll try the same jambalaya that Guy Fieri featured on Diners, Drive-ins and Dives. Tujague’s: This restaurant was previously a Spanish armory before it started slinging classic Creole dishes in an elegant setting. You’ll try their house specialty – a tender boiled beef brisket served in Creole sauce with just a touch of horseradish. Laura’s Pralines and Candies: Nestled in the historic French Quarter, the Creole pralines and hand-dipped chocolates here are made fresh daily with recipes that date back to the 18th century. New Orleans’ oldest candy store is still going strong. A surprise New Orleans original dessert also awaits your taste buds. The lunch bell ringeth!